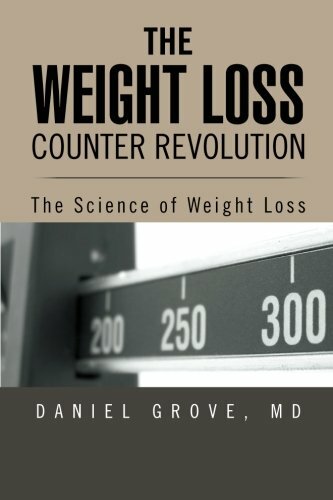 I would like to take this opportunity to explain a choice I have made with The Weight Loss Counter Revolution book. In the book I have advocated very strongly for calorie counting as the primary method for approaching diet with respect to weight loss. In the book I explain in depth why the calorie equation is so important and why calorie counting is essential to successful weight loss.I made a conscious decision not to go into great detail about the complexities of nutrition and metabolism for a number of reasons. The most important reason is that the purpose of the book is to simplify the approach to weight loss. It is the starting point in the battle. I strove to give you an understanding of how your body works with respect to your weight. I feel very strongly that people lack this basic knowledge. This lack of knowledge makes them easy prey to phony claims and fad diets. For this reason, I chose not to get too deep into nutrition and metabolism. I did not want to go into the complexities of things like glycemic index or the different types of fats you can eat. It is not because I don’t think these issues are important. They almost certainly are. I just think that the people can get obsessed on these types of details while ignoring the big picture. I feel strongly that it is better to to master the big picture first and then to deal with the more complex issues. Second, there is a great deal of pseudoscience out there that purports to take advantage of these complexities in ways that are unproven and dubious. I find that people who are too focused on these details while ignoring the big picture are unsuccessful with their weight loss. So in the book I chose to advocate only for calorie counting. I think that if people can master calorie counting to the best of their abilities (nobody expects perfection) along with the understanding and actions that come from reading the book, they will be well along their way to achieving a healthy weight. After these are mastered, more nuanced approaches to diet will be more likely successful. ← The Calories are Hiding Everywhere! Ultimately it's all about the second law of thermodynamics. The fact that people are aware and diligent about what they eat very effectively leads them to eat fewer calories which leads to weight loss. On a whim, I Googled on "counting calories doesn't work", not because I don't believe in it, but because I was wondering whether your book refutes this skepticism. Thanks for the article. Really enjoyed it and look forward to reading your book.